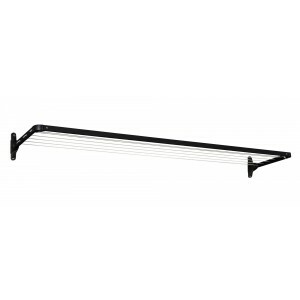 The Daytek Australia Slim Fold Down clothesline is designed for applications where the available space is too narrow to take a standard fold down. With an overall depth of only 560mm in the up position the Slim is ideal for areas such as balconies or narrow passageways between a house and side fence. The Daytek Australia Slim Fold Down also features the Australian Good Design Award lift and lock wall bracket. Includes peg bag and a packet of pegs.